Posted on July 23, 2013 by Jian Akiraceo. 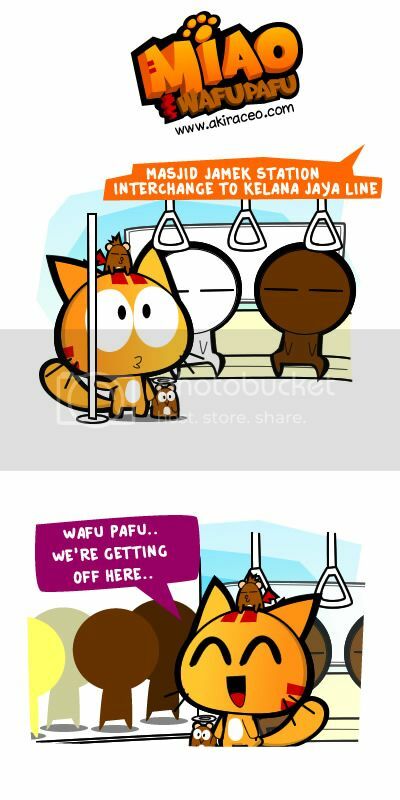 This entry was posted in Rant and tagged cartoon, cat, comic, cute, hamster, humor, kl, kl lrt, trap in lrt. Bookmark the permalink. Aww~ poor meow. Next time, don’t forget to step on their feet. MWAHAHAHAHA! i almost got trapped inside mrt in singapore too.. scare die me… i see people shouting too cos they insist to go in when the door is closing.. very scary !! so did you go out at the next station and take another LRT back to the station you wanted to go? 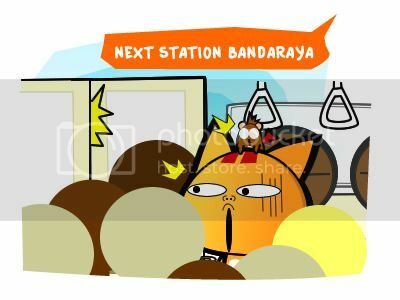 u haven’t tried the monorail during peak hours….even more frightening!! super small and super pack everytime. u need to be like rugby player if u want to use public transport.. especially during peak hour. can i shoot them with my laser gun? pew pew!! But I guess it’s the raya shopping rush maybe, that’s why people are back to acting like hooligans again. Expensive lor that time. I bought mine 1300MYR. Wahaha.. kena dah beberapa kali! esp. at KLCC & KL Sentral. Here’s a tip, quickly aim at a bigger size guy/person going out, squeeze thn. make a line right behind that person, tht’s how I get out without getting rammed “American Football style”! Can you get out at Bandaraya then?